Winter is no longer coming; it’s arrived…which means it’s time to hit the slopes. In honor of Internatonal Mountain Day, on 11 December, Musement shares five of the best places in Europe to go skiing this winter. 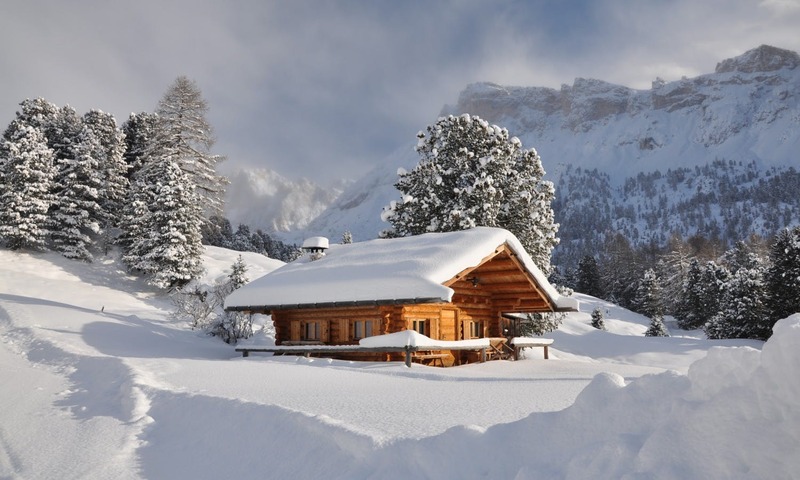 Thinking about your next ski holiday? Although some ski resorts have already opened their doors for the winter, for many the ski season has yet to begin. From the classics to most unexpected options, here are some of the best ski resorts to visit this winter. Located in the Dolomites, Val Gardena is one of (if not the) most beautiful resorts in Italy. The resort is divided into three areas. Thanks to its proximity to "Dolomiti Superski" and the nearby "Alpe di Siusi", Val Gardena is a veritable playground for skiers: 175 tracks for all levels and more than 1,000 vertical meters! Each year Val Gardena hosts two world-famous competitions: The Super G and the Men's Downhill World Cup. As part of Europe's largest cross-country ski area, the resort boasts something for everyone. Indeed, the Dolomiti Nordic Ski has about 1,000 km of cross-country trails that are accessible with a single package! The Vallunga cross-country trail, 30 km of riding in the heart of nature, is reputed to be one of Europe’s most beautiful trails. For freestyle skiing enthusiasts, the resort’s "Piz Sella" snow park is 750m long and located at 2158m high. It is accessible for both families and beginners, and non-skiers will find a plethora of activities such as paragliding, ice climbing, snowshoeing, swimming, bowling, tennis and wall climbing. Zermatt is located at the foot of the Matterhorn, the world’s most photographed mountain. Mystical and majestic, this Swiss emblem is one of the Alps’ highest peaks and as a result, Zermatt is snowy year round and skiing is available 365 days per year. The huge Matterhorn region offers 360km of pistes for all levels between Switzerland and Italy, the only place in Europe where you can find something like this. The other specificity of Zermatt: the exceptional amount of sunshine…300 days per year with very little annual rainfall! In Zermatt, you can surely inhale a breath of genuine fresh mountain air as since 1947, electric vehicles only without combustion engines are the only permitted means of transportation. Are you surprised to see Morocco on this list? Yes, it is possible to ski in Morocco with excellent conditions. Oukaimeden is the ideal resort for certified skiers and snowboarders who practice off-road. A helicopter drops freestylers looking for pristine areas to slide down the wide, construction-free tracks. However, you have to be careful! Going off-road is a discipline that should not be taken lightly. You must be an experienced skier and adequately equipped for the journey as it’s at your own risk! Oukaimeden is a prehistoric, history rich site where archaeologists dig among rock carvings and tools on this plateau that date back thousands of years. In the 1930s, the French Alpine Club built the first lodging. Despite access difficulties and lack of accommodation, it was a huge success. The first chalets and hotels arrived in the 1940s and 1950s, including the Anghour Inn and Chez Juju. In the early 1960s, a road was paved to give visitors easy access to the resort, and it soon became a popular destination. This was followed by a creperie, two pizzerias, nightclubs and the first ski lifts. But it was first and foremost the off-road riding enthusiasts in search of pristine construction-free areas that the resort became trendy. At 2300m height, Kalavrita is one of the most famous Peloponnese resorts. Located on the northwest slopes of Mount Helmons near Lake Styx (the lake in which Thetis threw his son Achilles to make him immortal), the resort is easily accessible from Athens. The eleven ski runs are named after Zeus’s mistresses with Nefeli being the longest (3.2km). The resort has just opened a snow park, which you should definitely visit! From Kalavrita you can take a small train to the Gulf of Corinth on the Odontotos railway line (the shortest in Europe), which was built by French engineers. This magical ride is full of contrasts, leading down from the mountains to the seaside town of Diakofto. Dive into the water for a swim then head back up the slopes to ski! One of Europe’s longest black diamond ski runs is located at Alpe d'Huez. 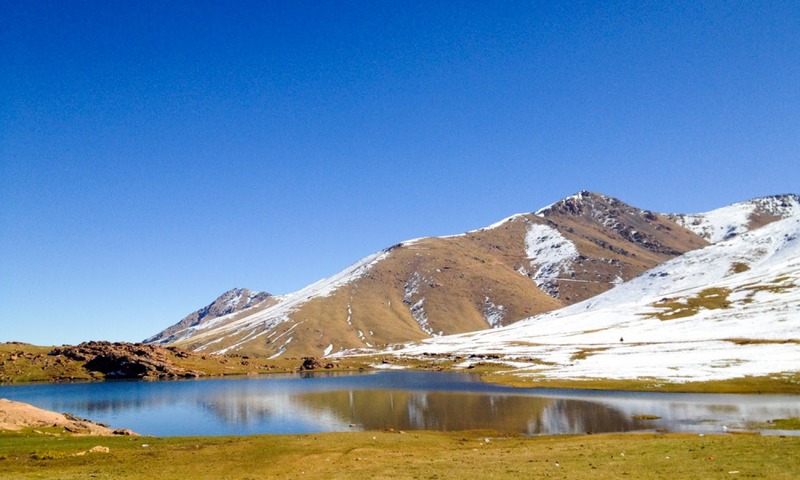 The 16km route is a pure adrenaline rush and includes a vertical drop of 1800 meters! 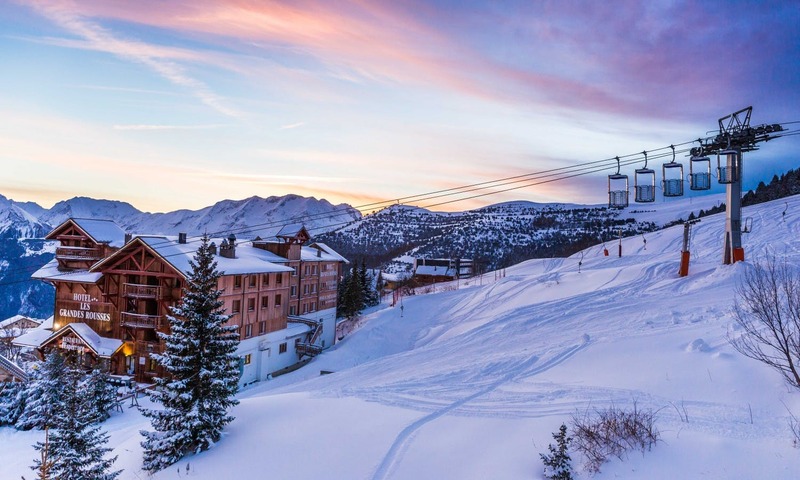 It's impossible not to associate Alpe d'Huez with its famous black diamond path “Sarenne", which offers an hour of non-stop skiing in an extraordinary environment between Mont Blanc and the Massif des Ecrins at 3000m high. But you can rest assured that Alpe d'Huez is a family ski resort with 250 tracks that are accessible to everyone! Quick tip: Treat yourself to an unforgettable experience by going down the Sarenne at sunset and by taking the last Pic Blanc cable car of the day.